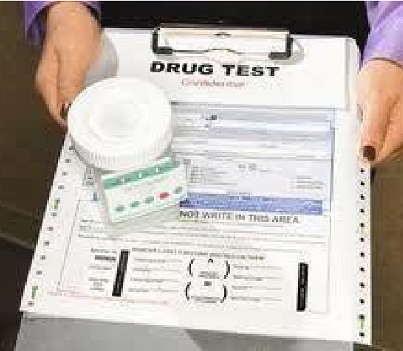 This picture showed up a few times in my Facebook feed today with the caption, ‎"'Like' if you think drug testing should be mandatory for welfare recipients." I think I need to address this issue. To be clear, what I write below is nothing new or innovative. I'm indebted to others for most of these insights and attempt to cite them liberally below. My intent is basically just to present some evidence and arguments against such a practice. There are, I think, essentially two major points to consider. First, where there are laws that require drug testing of welfare recipients, we see surprising results: recipients test positive for drug use at lower levels than are estimated for the larger population. While it is estimated that about 9% of those in the U.S. use illegal drugs, only 2% of welfare beneficiaries in the State of Florida tested positive in the opening months of that program. There is no evidence to suggest that welfare beneficiaries abuse drugs at any higher rates than non-beneficiaries, and if anything, there is some evidence that they do so at lower rates. Even more, the cost-savings of the program are dubious at best. Second, we often wrongly think of "welfare" as benefiting "others," forgetting that nearly all of us (yes, you!) receive benefits from the government. We regularly make this mistake because most of us benefit from what is called the "submerged state," those less-than-visible benefits from the tax code or from subsidies for private organizations to do aid. When a representative sample of people in the U.S. were asked if they had "ever used a government social program," 57% said they had not. Followup questions about programs like Social Security, unemployment insurance, the home-mortgage-interest deduction, student loans etc. revealed that 94% of those who had denied using programs had benefited from at least one. In all, 96% had received some government benefit (and the other 4% were mostly too young to qualify for most of those programs, yet). Moreover, fully two-thirds of government tax-expenditure benefits went to the wealthiest 20% of those in the U.S. (Nearly a quarter of those benefits went to the wealthiest 1%!) Part of the issue is the difference between so-called entitlement benefits and tax-expenditure benefits. Entitlement benefits disproportionately benefit the poor and are distributed as cash (actually EBT) directly via government agencies that are still largely brick-and-mortar; tax-expenditure benefits disproportionately benefit the middle class and the rich and are distributed as income tax deductions indirectly via a paper or electronic form. It's easier to ignore the benefits one receives from the government when checking a box on TurboTax as opposed to standing in line at an imposing building with the letter's "U.S." etched into the facade. Unless you are prepared to supply a urine sample every time you deduct your mortgage payment or claim your kids as dependents or, here in Georgia, allow the HOPE Scholarship to pay for you college education, perhaps you should rethink testing the poor for their more meager benefits. We really must ask ourselves one fundamental question: why is drug-testing welfare recipients attractive? If you believe that the state should not subsidize people's drug use, then you should have no problem with testing all people who receive benefits from the state, not just the poor. If you believe that it is the poor who are more likely to use drugs, the evidence just isn't in your favor.